From Perth to Singapore to Hanoi to (on a very small propeller plane) Dien Bien, The Brekky Team have arrived in Vietnam! 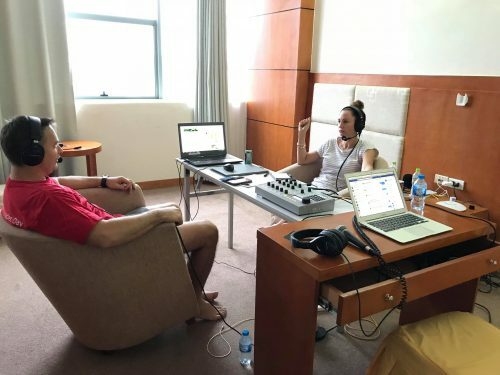 The Brekky Team broadcast live from a hotel room in Dien Bien, Vietnam for Miracles Day. The Brekky Team in Vietnam? Why you ask? It’s all for 98five’s Miracles day with CBM. Every year christian radio stations from all across Australia come together with CBM to give the miracle gift of sight to the poorest of the poor along with your help. 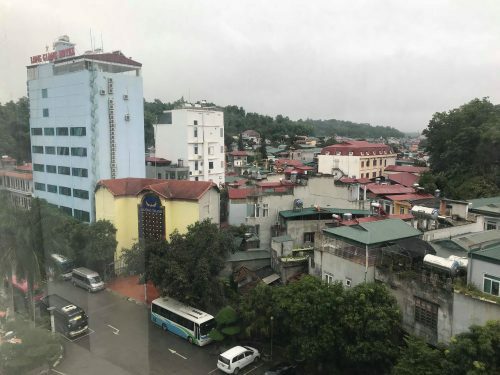 After broadcasting the Brekky Show live from a hotel room in Dien Bien, Kirste, Morro & Producer Corey are heading out to a remote village in northern Vietnam. This afternoon the team will take a 1 hour bus ride and then hike for an hour to get into the village. The team are going to meet those suffering with cataracts and visit the hospital the surgeries will be performed in. For more info on Miracles Day, or to donate $33 for someone to receive the life changing miracle of sight see here. The view outside The Brekky Teams hotel room/studio.